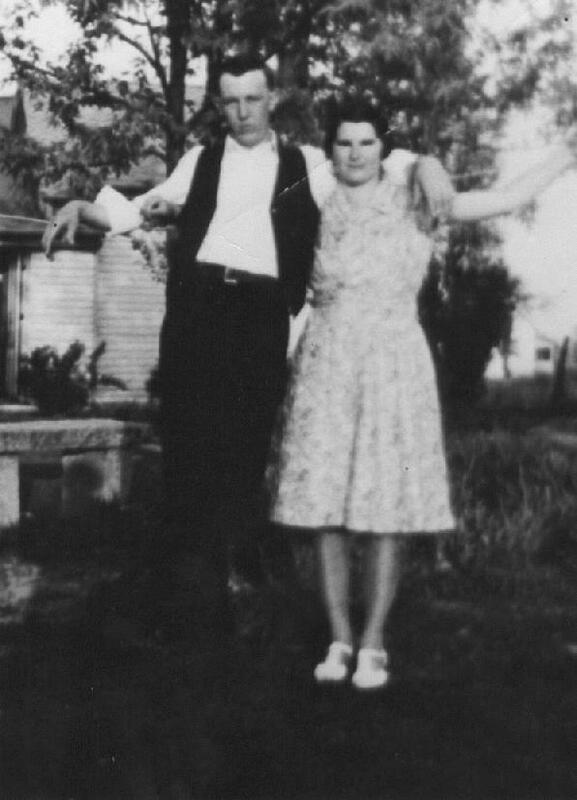 She married Wayne Hinshaw, May 29 1932, Grainger County, Tennessee.3,4 Wayne Hinshaw, son of John Looney Hinshaw & Mollie Ballenger, was born Apr 1 1912, Tennessee.5,6,7 Agnes and Wayne were first cousins once removed. Margie Mae Hinshaw, born Oct 16 1932. Barbara Jo Hinshaw, born Jan 12 1934. She then married Clayton Thomas Fennell.8 Clayton, son of Thomas Boyd Fennell & Lillie Maye Davis, was born Mar 23 1920.8 Clayton was a great grandson of Martha Jane Hinshaw Fennell,8 so Agnes and Clayton were third cousins once removed. William Thomas "Tom" Fennell, born Apr 20 1938 in Tennessee. Golden Rodger Fennell, born Feb 2 1941 in Indiana. Carl Edward Fennell, born Mar 1 1943 in Tennessee. Wanda Lou Fennell, born Apr 17 1946 in Tennessee. Clayton Darlene Fennell, born Mar 12 1949 in Tennessee. Judy Ann Rusk, born Jul 20 1952. Contribution from Joy Bliss Gerber citing: birth and death certificates. Contribution from Joy Bliss Gerber citing: marriage certificate. "Grainger County, Tennessee Cemetery Records, Vol. II, South of Clinch Mountain", compiled 1985 by Clarence McGinnis & Stella Grace McGinnis, Morristown, TN, in the Tennessee State Library/Archives. Contributed by Robert Worley. 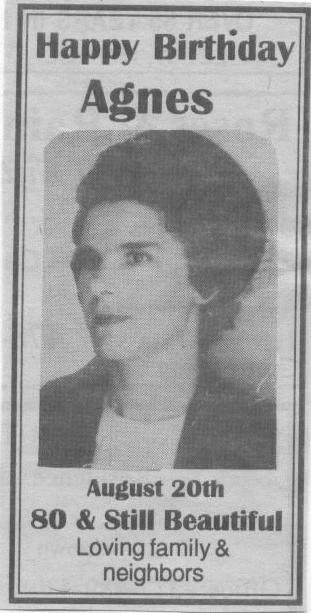 Obituary of Barbara Jo Hinshaw Brandon. Contribution from Joy Bliss Gerber citing: death certificate. Photo courtesy of Joy Bliss Gerber.